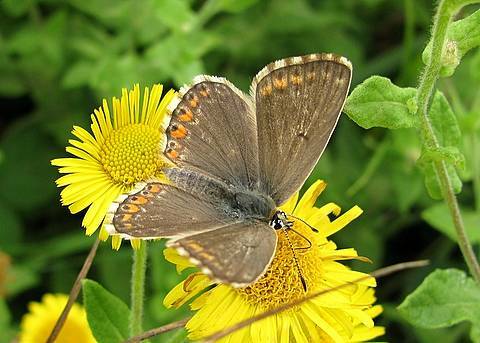 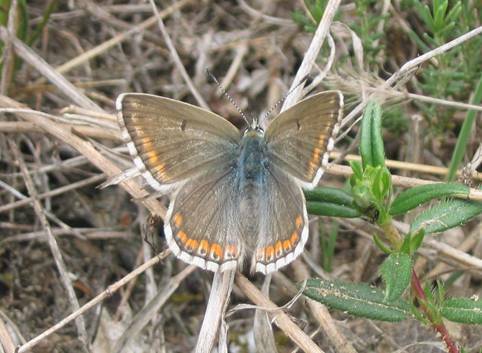 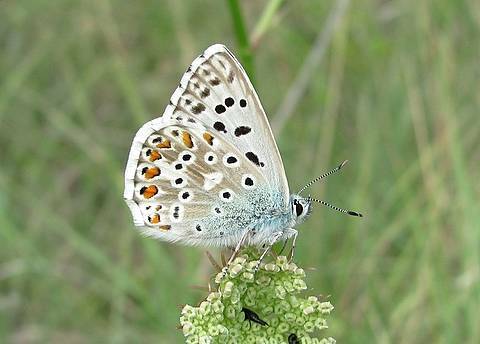 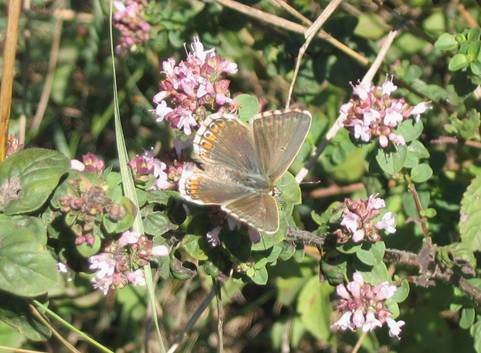 The Provence Chalk-hill Blue is a southerly species with a largely Mediterranean distribution in Spain, France and Italy. 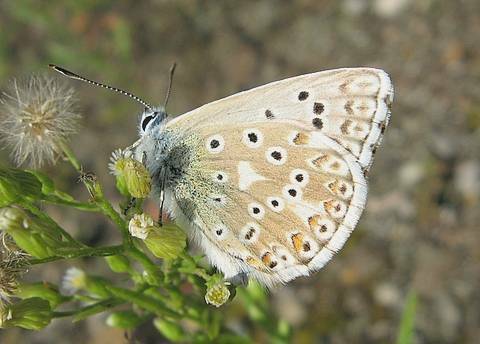 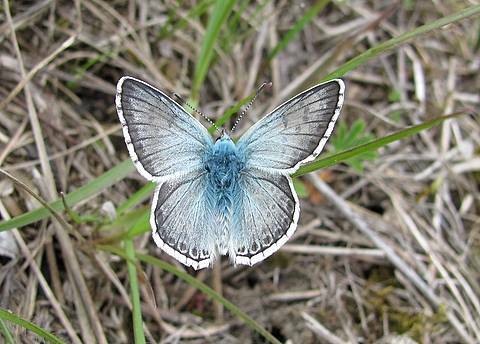 It is generally considered as very difficult to separate from the similar Chalk-hill Blue (Lysandra coridon) from external features. 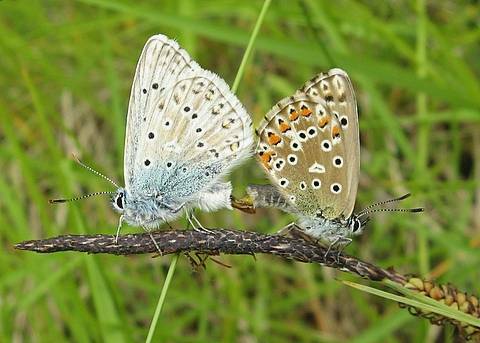 In particular, females are difficult to tell apart whereas there are various theories concerning the blue tone of the upperside of the male. 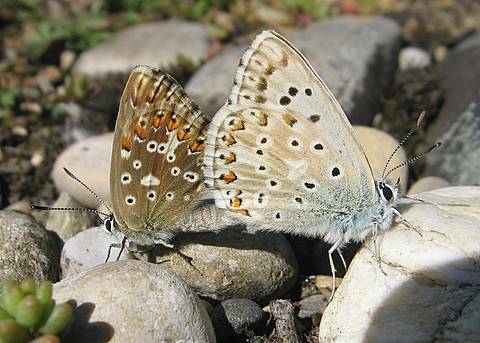 For the time being I can see no consistently useful guide in these theories and across the range where the two species are known to occur together the only sure way to identify hispana is to spot it during its first brood in May. 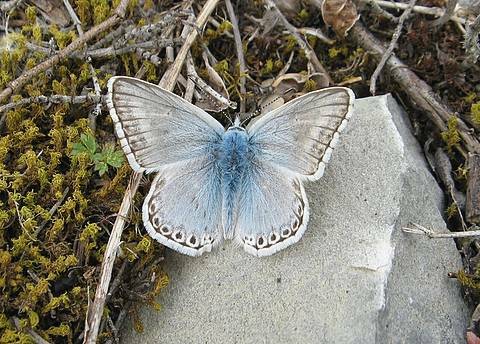 L.coridon is a single brooded species flying generally from July to September so no confusion is possible in the spring. 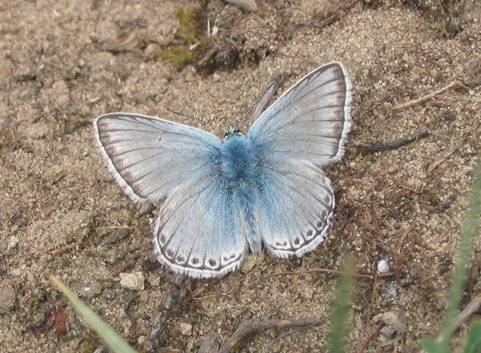 Second brood hispana will fly at the same time as coridon however, making identification complicated. 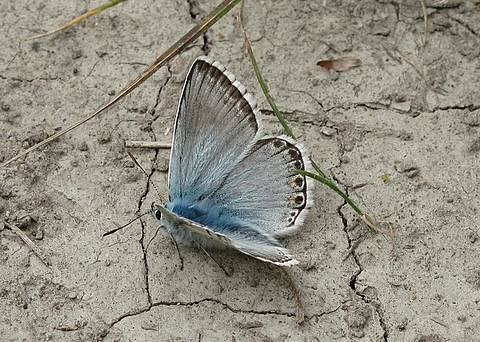 I have now discovered several colonies of this species flying in the south of the Rhône département where it has been previously reported although confirming its presence here at the northern edge of its range is a tremendous discovery. 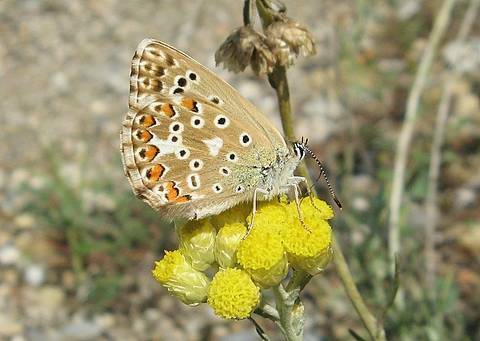 In places where it flies it seems to emerge somewhat earlier than the Adonis Blues (at least the bellargus are very few amongst the abundance of hispana) which are sharing the same habitat and 'competing' for the larval food plant Hippocrepis comosa. 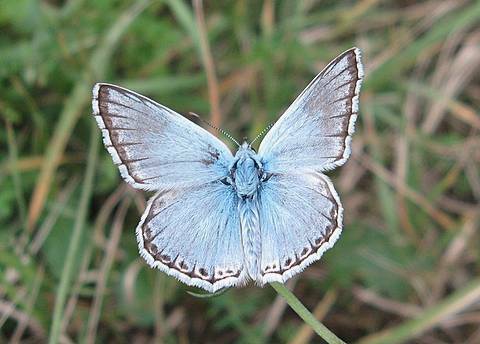 I have never observed any blue females of L.hispana, whereas these are frequent in our local colonies of L.coridon (f.syngrapha).